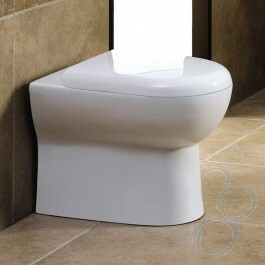 There are numerous designs for Back to Wall toilets. They work particularly well in small spaces as they do not project as far from the wall as traditional toilets - they compliment Cloakroom Basins particularly well. 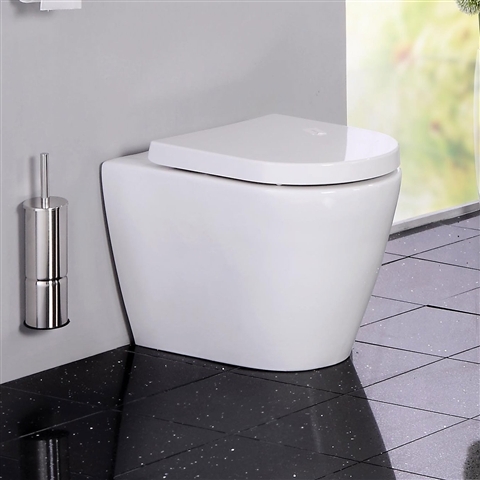 The concealed cistern design of some ranges provide sleek and modern lines to a bathroom suite. At £79 the Churchill Back to Wall Toilet Pan with Soft Close Seat is a good example of the space and cost saving options available. 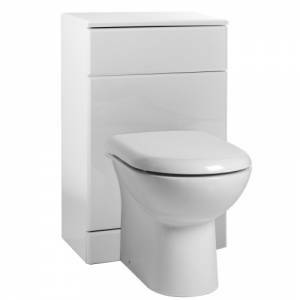 When you are unable to make the necessary holes in the wall to include the related pipework the Milano Gloss White Back to the Wall unit with Toilet, Cistern & Seat provides a similar, but boxed in option. Modern styling is a close associate of the Back to Wall toilet option. The squared off style is very popular and the minimalist exposure of the toilet allows for a separate flush system and all the workings are concealed within the wall. 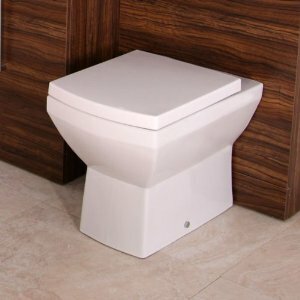 The Cruise Back to Wall Toilet with luxury soft close Toilet Seat is an example of the top of the range styles you can purchase for a minimalist bathroom with modern fittings. It is also typical of the flat pack homes that arrive at the site with all the windows, pipework and bathrooms fitted and are installed within days.